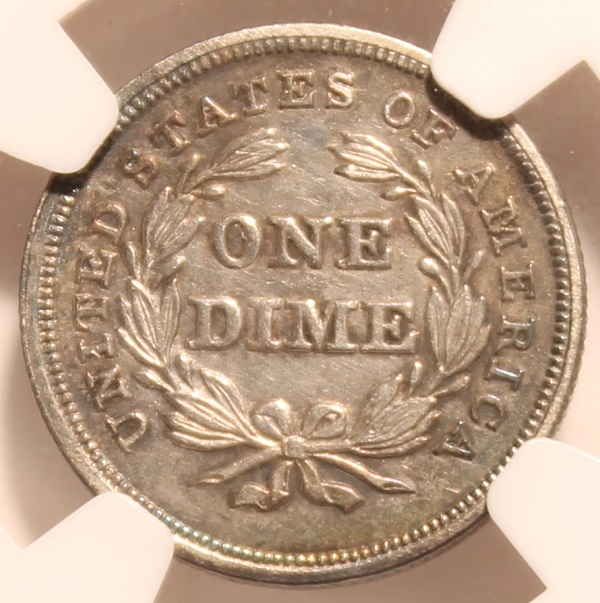 The dime is definitely controversial. 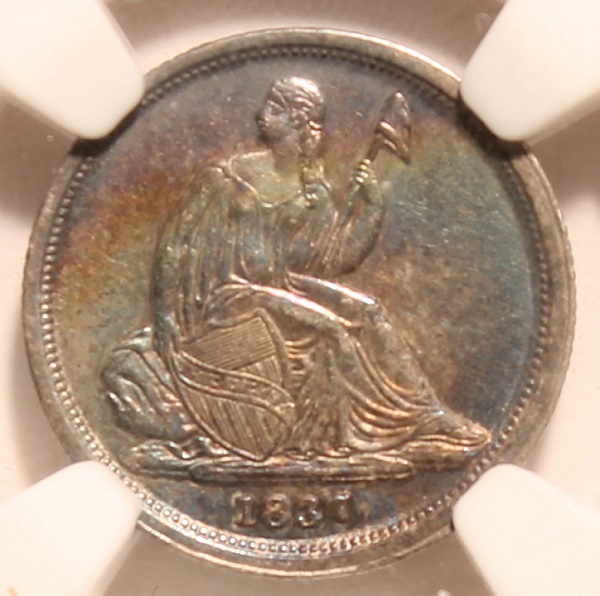 It has some extremely colorful toning, and will match almost anything. One person said of it, “I’ll tell you what it isn’t, and that’s MS-61.” Meaning either it’s artifically toned, or toned after cleaning, or it really belongs in a higher-grade holder. He wasn’t sure which. It shows no sign of wear whatsoever, not even some rub that would be “market graded” as Unc. It was in a badly scuffed up slab. I walked it over to the NGC table and paid ten bucks to reholder it (and got the “prongs” as a side benefit), plus another five bucks for scratch resistant plastic. Seems like their non-scratch-resistant plastic is a good advertisement for that service! 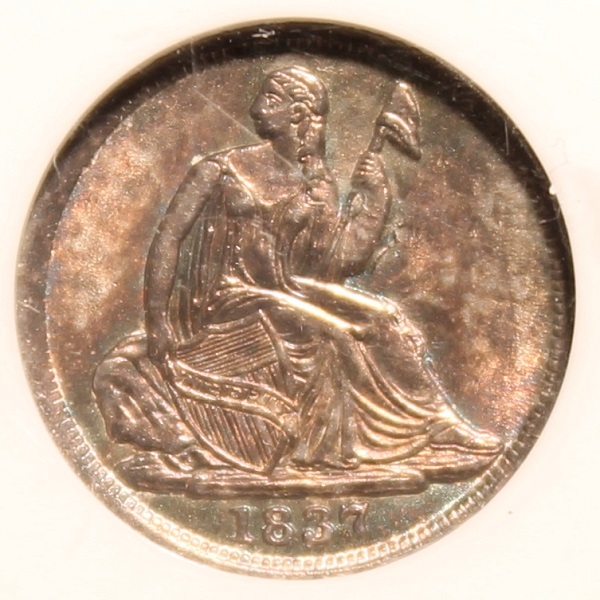 The reverse appears to be off a fairly late-state die. 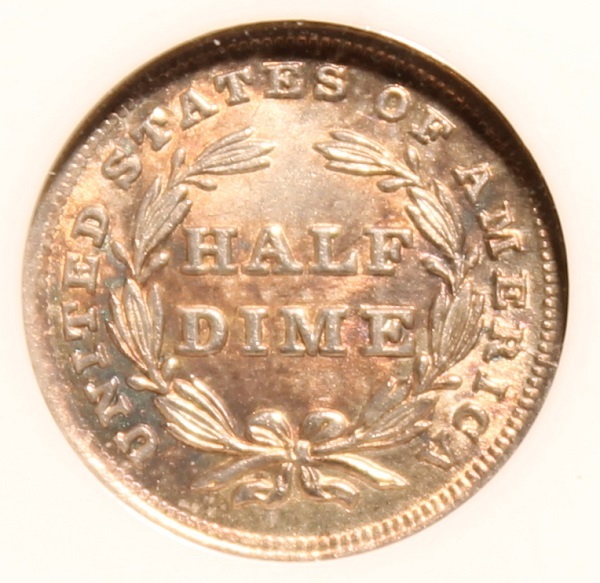 The half dime turned up the last day of the show; I had to bug out of the ANA Board of Governors Open Session to meet the dealer as he packed up. He hadn’t even worked the coin up yet.